Dallas Burn Injury Attorney | Personal Injury | Juan Hernandez Law P.C. In 2012 alone, 450,000 individuals sought medical treatment for burn injuries and 3,400 individuals were killed as a result of those injuries. Burns range from chemical burns to severe fourth-degree burns and the results can be devastating. Even when exceptional medical treatment is provided, burn victims risk permanent scarring and disfigurement. In addition, burn injuries are some of the most painful injuries a victim can endure and can lead to a lifetime of suffering and pain. The severity of the burn injury depends largely on the type of burn and the degree of the burn. First-degree burns—These burns are the most common and only involve damaging the outermost layer of skin, also called the epidermis. These types of burns often heal quickly and do not blister or cause permanent injury. These can be painful, but they do not usually cause scarring or other trauma to the skin. Second Degree Burns—involve damage to both the dermis and the epidermis. These types of burns are very painful, blister, and blanch with pressure. They can cause local infections, cellulitis and may even cause scarring. Third Degree Burns—involve severe damage to the dermis and encompass a greater portion of the skin. These burns are painless but can lead to severe infection, scarring, contractures, and even amputation of the extremity. Can lead to death. Fourth Degree Burns—involve severe damage to the entire skin, underlying fat, muscle, and bone. These burns are characterized by black charring and require amputation or excision to prevent death. In severe cases, death is inevitable. 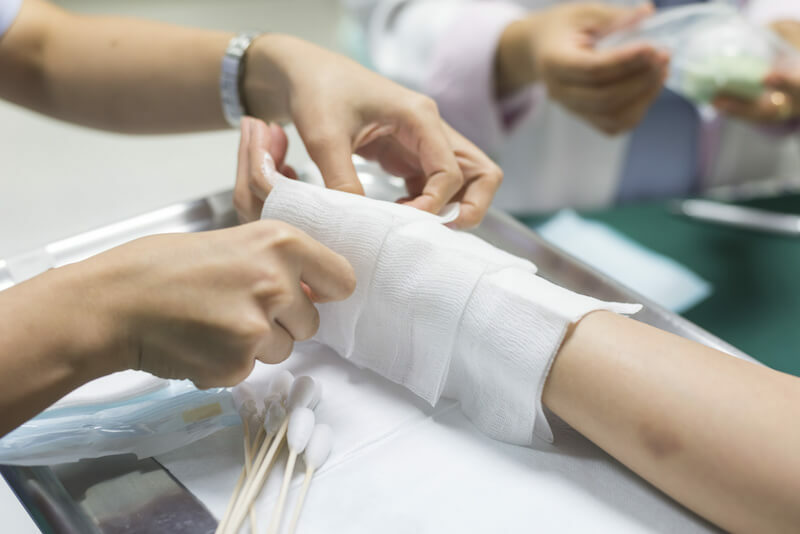 Burn injuries can cause permanent disfigurement and scarring. These injuries often require multiple surgeries, skin grafts, and painful procedures in order to help victims regain some of their lives back. Severe burn cases can even lead to a complete amputation of the affected extremity or excision of the burned area. This can lead to costly cosmetic surgeries to repair the extended damage, including delicate skin grafts. Burn victim amputees are often required to purchase expensive prosthetic devices, wheelchairs, and other disability equipment in order to continue to work, provide for their families, and enjoy their lifestyle. In addition to the overwhelming medical expenses—burn victims also experience severe emotional trauma. They may suffer from Post Traumatic Stress Disorder, severe depression, or life with an enormous amount of daily pain. At Juan Hernandez Law, we understand how devastating burns and scars can be and the challenges burn victims face. If another person’s negligence has caused you emotional or physical pain and injury in Dallas, Fort Worth, Houston, Austin, San Antonio, or anywhere in the State of Texas, it is critical that you contact one of our experienced Dallas Personal Injury Lawyer immediately. We will fight the tough fight—so you can focus on your recovery. Contact us today for a free consultation at 1-888-827-9965 | Local 9214-712-3823 to schedule a FREE EVALUATION with one of our attorneys.